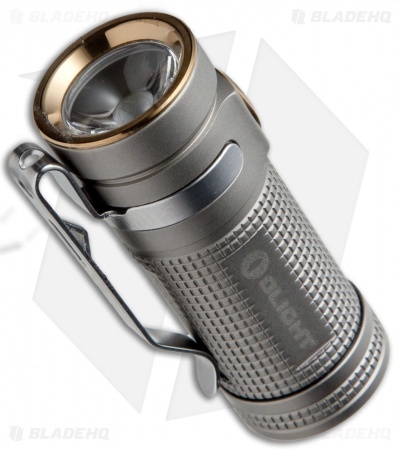 The SMINI Baton from Olight is a 2016 limited edition flashlight with a titanium body and 550 lumens of maximum output. 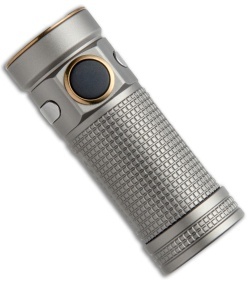 It features the latest Cree XM-L2 LED, with a high transmittance TIR lens and homogeneous light output. The SMINI Baton is 10% smaller than the original S1 Baton yet 10% more powerful with 550 lumens. With 4 modes to choose from the SMINI offers a diverse range of brightness levels ranging from 0.5 to 550 lumens. 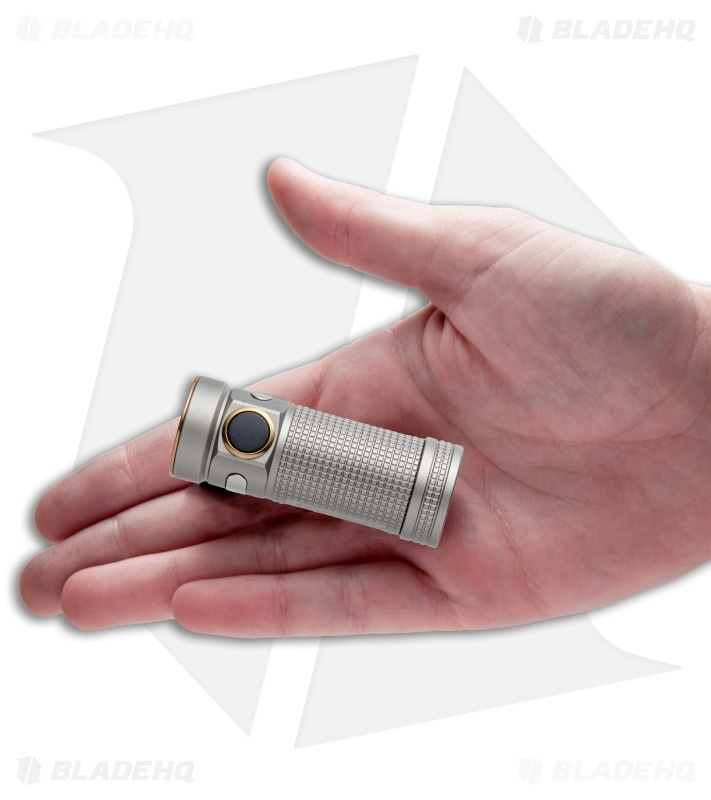 Item runs off a single CR123A battery that is included. This SMINI Baton model has a titanium body with a bead blasted finish.